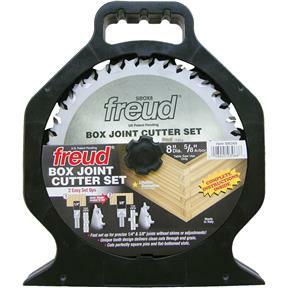 Freud has developed a method of creating perfectly square, flat-bottom box joints, on a table saw without using a dado set or saw blade. 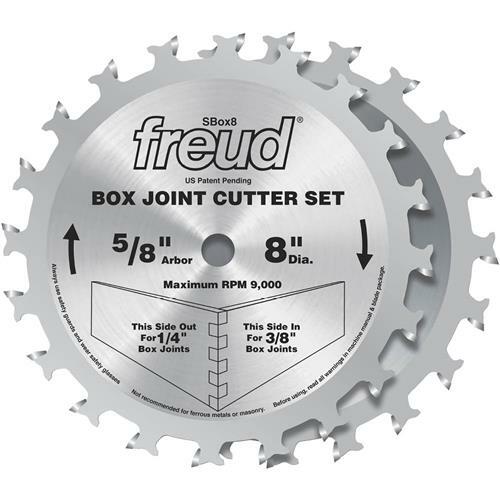 The SBOX8 Box Joint Cutter Set makes box joint construction easy, producing strong, accurate joints without shims or awkward adjustments. This patent pending innovation enables users to produce perfectly square, precise box joints quickly and cleanly the very first time—and every time. Includes instructions for making box joints and building a box joint jig.